UNH is known for its sustainability efforts. For the second year in a row, the Sierra Club has hailed the University of New Hampshire as one of the best places to go if you care about sustainability. And following close upon the Sierra Club’s announcement, The Princeton Review named UNH to its 2018 Green Honor Roll. This year, UNH took a big jump in the Sierra Club standings: up from 35 in 2016 to 21 on the club’s 2017 Cool Schools rankings. To create the list, Sierra Club ranked 239 schools based on such criteria as the percentage of new campus buildings that are LEED certified, the existence of a food waste composting program and whether the school has an undergraduate academic program in sustainability, for example. The Green Honor Roll, meanwhile, includes the 24 U.S. schools that received The Princeton Review’s highest possible score in its Green Rating, which examines such factors as whether campus quality of life is both healthy and sustainable and how environmentally responsible each school’s policies are. "When I started at UNH a year ago, I was impressed by the community's deep commitment to sustainability." Sustainability is not new at UNH. 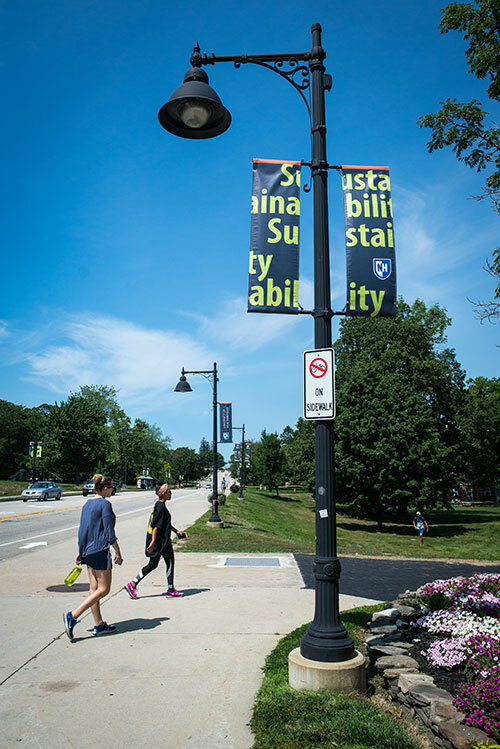 In fact, UNH is home to the oldest endowed university sustainability program in the entire country, and its Sustainability Institute is regarded as a national leader in campus sustainability. Since 2007, UNH has reduced its greenhouse gas emissions by 36 percent. The UNH-developed campus carbon calculator is in use at approximately 1,000 college campuses nationwide. And, in 2016 the university debuted a dual major in sustainability. Yet despite these achievements and many others, Nelson says becoming an even more sustainable campus is a key priority. "When I started at UNH a year ago, I was impressed by the community's deep commitment to sustainability," she says. "It seemed like every time I met someone, I learned about another sustainability initiative. It has been so heartening to become part of this community." Learn more about sustainability at UNH.